Pooch Hall is one of those African-American actors whose talent and charming smile has endeared him to many hearts. Also a model and rapper, Pooch is best recognized in the entertainment industry for his role as Derwin Davis, the football player in the hit BET series The Game and Daryll in the Showtime drama Ray Donovan. Pooch Hall was born Marion H. Hall Jr. on February 8, 1977, in Brockton, Massachusetts. He spent most of his early life in his hometown and attended Brockton High School and later the University of Massachusetts, Dartmouth where he was part of the UMass Dartmouth Theatre Company. Growing up, Pooch was quite athletic and had interests in sports, particularly boxing. While in college, he played football, ran track, boxed and nurtured hopes of becoming a professional welterweight or middleweight boxer someday. However, after a knockout punch during a sparring match, Pooch reconsidered his dreams. In 1994, he won the Southern New England Golden Gloves for boxing. 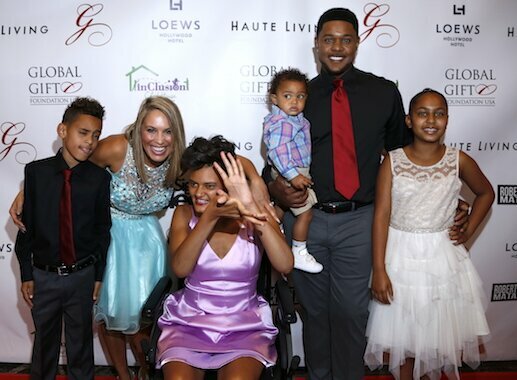 Pooch Hall was born to African American parents. His father’s name is Marion Hall Sr. while his mother’s name is unknown. Once while explaining how he came about his unusual stage name, the actor said the name ‘Pooch’ dates back to his early days as a baby. According to him, back then, a neighbor was fond of calling him ‘Pookie’ which his father later changed to ‘Poochy’ and then ‘Pooch’, a moniker which has stuck thereon. Before his acting career, Pooch first began as a model making appearances in various commercials. He made his debut appearance in the film industry in the year 2001 playing the character Derek in the movie Lift. He soon landed his next role as Billy “Schlep Rock” Brown the same year in Blue Hill Avenue. Pooch’s big break came with the lead character of Derwin Davis in the 2006 series The Game. He has several other notable roles to his credit both on the small and big screens such as Ricky in the 2011 film Jumping the Broom, recurring roles as Garfield in Pepper Dennis, as Jimmy in Suits and as Daryll in the series Ray Donovan, amongst others. Pooch is married to Linda, his longtime girlfriend and a realtor. The couple who met and began dating in 1996 during their college days at UMass have been married since 1999. They have four children together, Djanai, Djordan, Djaeda, and Djulian. His eldest daughter suffers from a developmental disability, cerebral palsy, which makes it difficult for her to walk or talk on her own. Pooch, who is known to be generally protective of his family likes to keep their lives private. They founded a non-profit inClusion ClubHouse, a venture aimed at helping their daughter, as well as other children and parents living under similar circumstances to experience and exercise as much normalcy as possible in the world. Though they may have had some challenges raising a special needs child, Pooch and Linda have been going on strong as a family. So far, there have been no rumors of infidelity or divorce in their marriage, at least, none that the public is aware of. With over 21 small and big screen credits, Pooch Hall has a net worth estimated at $3.5 million dollars mostly accumulated from his works in the entertainment industry. 1. The handsome actor known for his signature smile stands tall at 6 feet (183 cm) and weighs 84kg (185 lbs). He has dark-brown hair and eye colors. 2. Hall is a creative entertainer with a hidden talent which is rapping. Not the competitive type though, just freestyle rapping for fun. His other creative abilities include sewing, cooking, and writing. 3. 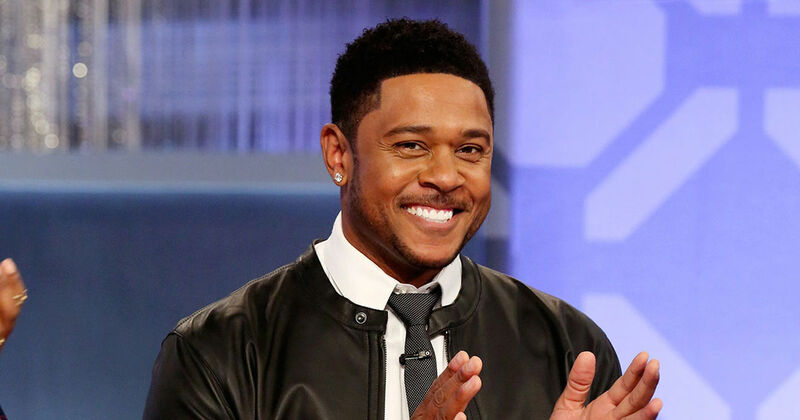 Pooch Hall is a one-woman guy who enjoys dancing. For him, the perfect romantic date night with his wife involves dinner, movies, and dancing. 4. One of Pooch’s guilty pleasures is his love for action figures. He loves to buy toys especially the human-like ones and someday hopes to have an action figure of himself. 5. Pooch learned one of life’s biggest lessons from his oldest daughter, a special needs child in a wheelchair, whom he describes as the happiest girl in the world despite her circumstance. 6. He has an active social media life with a huge fan base on popular social networks such as Facebook, Instagram, and Twitter.